Go on the Internet at your local Wi-Fi hot spot or at home using the integrated 802.11b wireless LAN. 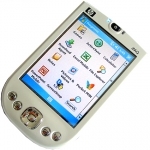 Add speed and agility with Microsoft Windows Mobile 5.0 Premium for Pocket PC Professional. You'll be able to view and edit Microsoft Office documents, including working with Excel charts and Powerpoint presentations with custom animations and slide transitions. Stay in touch with your business and personal contacts using the integrated personal information manager (PIM) software. You'll get where you want to go fast through the five-way navigation button and four application launch buttons, and be able to protect your important data when your iPAQ runs out of battery power with the persistent store feature. 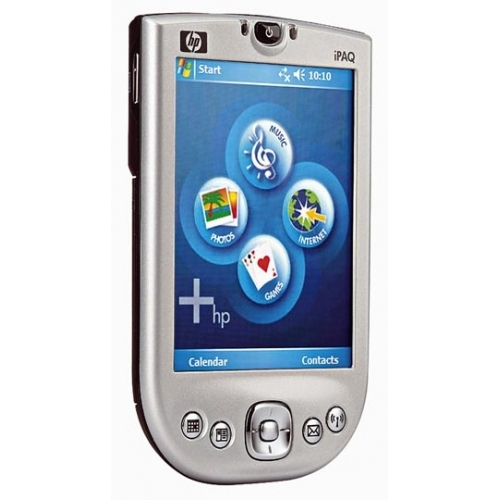 Enjoy music and videos in MP3 (or WMA or WMV) format; transfer fresh music and video to your iPAQ as your mood dictates via Windows Media Player version 10. You can easily store music and videos on SD/MMC memory cards using the built-in SD slot. Listen to your tunes privately--in stereo--via headphones (sold separately) through the 3.5 mm headphone jack. View color snapshots in both portrait and landscape modes on the 3.5-inch TFT display (64,000 colors). When you've finished up everything on your "to do" list, you can always challenge yourself to the included games from Microsoft and download other popular titles. 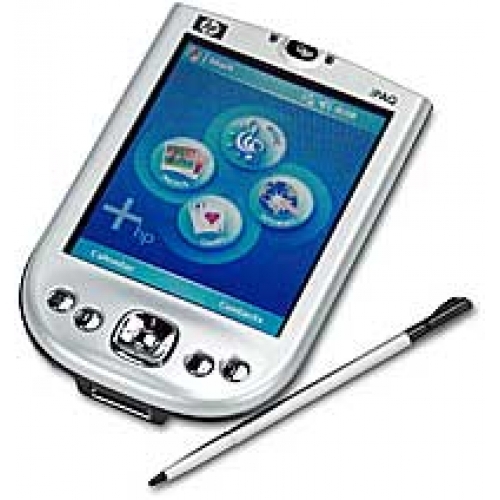 HP provides a 90-day warranty on the RX1955, covering parts and service.